Maintaining good situational awareness is enormously important for emergency services personnel in the field and for control room operators. Voice, messaging and GPS-based location data have traditionally been the key aids. But new technology is beginning to enhance situational awareness in ways that were unthinkable before now. Video analytics is the most obvious change, but local sensors, virtual reality (VR), augmented reality (AR), artificial intelligence (AI), machine learning and predictive policing are also starting to contribute. These can provide a much wider and more accurate real-time common operating picture across the response team, enabling commanders to deploy their resources faster, more efficiently and with greater precision. Even more radical is the deployment of tactical throwable, 360-degree cameras such as that developed by Buffalo-based Bounce Imaging. “The product is shaped like a ball and fitted with multiple cameras, which can be thrown into a hazardous area such as a collapsed building or hostage situation and flow 360-degree visuals,” says Rehbehn. Familiar video analytics applications that aid situational awareness include facial-recognition technology, and the ability to spot unusual events or behaviour. Another technique is deblurring, which allows lo-res or blurred images to be sharpened up using AI techniques. Williams also points to the cloud as way to support new apps and database queries. 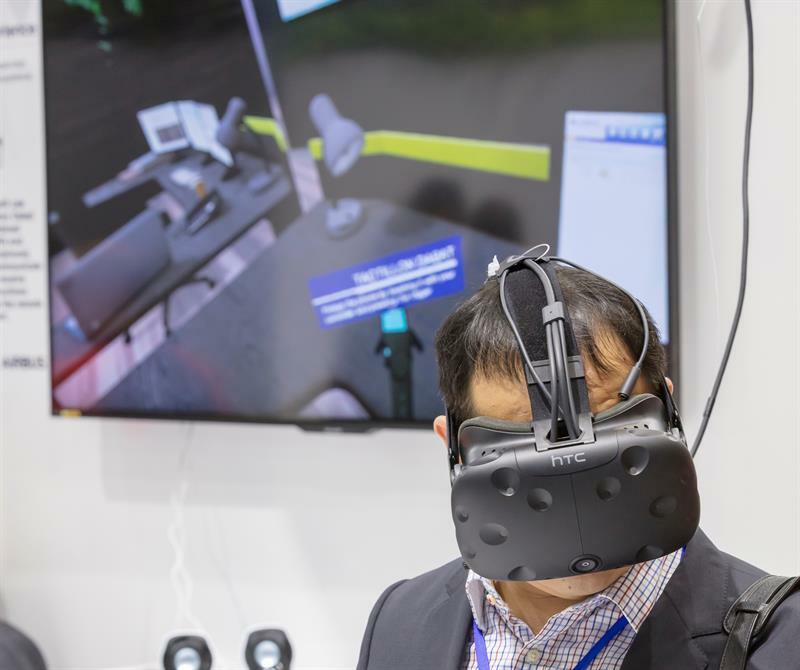 At CCW 2018, Airbus demonstrated a VR scenario where a firefighter equipped with a 360-degree camera in a metro station streams images back to a supervisor in the command centre, who could be located miles from the scene. The supervisor wears VR goggles, enabling him to ‘step in’ virtually. Rehbehn cites a NIST-funded trial of AR/AI in the USA carried out by the Cosumnes Fire Department in California in conjunction with NASA’s Jet Propulsion Laboratory and others including Qwake Technologies. At the heart of the trial is the Assistant for Understanding Data through Reasoning, Extraction and sYnthesis (AUDREY). The idea is to upload masses of 360-degree video and sensor data to AUDREY, including temperature readings, thermal imagery, and so on. AUDREY will provide firefighters with real-time data and ‘eyes’ that can see in smoke- and flame-filled environments. Its AI and machine learning software will also have built up a memory bank of previous fires and test burns, which will enable it to guide firefighters by predicting how the fire is likely to develop and warn them if the situation is becoming too dangerous. Qwake provided its C-Thru AR vision system, which is mounted in the firefighter’s mask and wirelessly connected to commanders. It provides a heads-up display combining thermal imagery and AR to enhance performance in hazardous environments and zero-visibility conditions. Sepura’s AppSPACE solution allows users to add apps to their TETRA radios, including downloading them in the field. “When linking the AppSPACE radio apps with backend applications, those backend applications can also be used with LTE/broadband devices,” explains Peter Hudson, head of TETRA products development at Sepura. A number of two-way radio manufacturers are using built-in Wi-Fi and Bluetooth to connect with local devices and sensors such as Tasers, firearm holsters, smart protective vests, bioharnesses or a firefighter’s breathing apparatus. Alerts can be triggered if the Taser is drawn, the vest stabbed or oxygen levels in the tank drop to 20 per cent. An example of this new capability might be stewards having to evacuate a stadium where the electricity has gone. Staff equipped with the floorplan and exit routes uploaded to the Dabat just need to point the radio and, using indoor geolocation and AR, it will indicate the way to the right exits. It is worth stressing that audio remains a vital application for public safety. Rehbehn notes that both Motorola and Harris provide noise-cancelling microphone capabilities that can be integrated into a firefighter’s face mask. He adds this can be extended to using voice commands over the radio to cognitive computers (bots) to enable database queries. “Police officers spend a lot of time running queries, criminal records searches and so on. The solution uses a combination of natural language processing and AI to run those queries with a voice command. This has significant implications for increasing productivity, as you no longer have to rely on a human dispatcher carrying out those queries on your behalf and relaying information over the radio system. Using voice commands also increases safety, as the officer does not have to look down and enter the information or query,” points out Williams. One of the biggest trends in control rooms is that companies are now offering a much more integrated approach, according to Alex Richardson, senior research analyst in the Critical Communications Division at IHS Markit. “They are not marketing CAD and risk management software specifically. Instead they are approaching it from a higher level,” he says. “For example, Motorola Solutions now markets its CommandCentral Aware solution, which is an integration software solution with access to incident details, CAD, records intelligence, geospatial data, real-time alerts from multiple sources and with analytics capabilities built in. Mark Pearson, key account manager for London Metropolitan Police at control room solutions provider Frequentis, notes that the use of smartphones and social media is one way law enforcement can do ‘more with less’. “These tools can provide frontline officers with real-time access to vast amounts of data, ensuring better intelligence and situational awareness. Pearson adds that artificial/augmented intelligence can help to consolidate this information and make an ‘intelligent’ presentation of the overall situation to control room personnel, to aid more efficient decision-making. “Once live images or videos from the public can be analysed in real time, the potential is endless,” he says. Airbus offers its Fortion MediaMining solution, an AI tool that enables security and police officers to crawl the internet, social media and the darknet to figure out and predict what could happen the next day. It has speech-to-text and translation functions, which helps police prepare better for potential events. One company that offers this kind of intelligence gathering and analysis is the rather secretive Palo Alto-based Palantir Technologies, which claims it ‘integrates structured and unstructured data, provides search and discovery capabilities, knowledge management, and secure collaboration’. It is apparently used by US government counter-terrorism analysts and some police departments. Crowdsourced applications can also help provide a faster response to an incident. The FirstNet-approved PulsePoint app enables CPR-trained bystanders to go to the assistance of a nearby victim if they are in a public place. The app also directs potential rescuers to the exact location of the closest defibrillator. As nearly 1,000 people a day in the USA die of sudden cardiac arrest and there is little chance of successful resuscitation after 10 minutes, this kind of app can really save lives and help out hard-pressed paramedic crews. 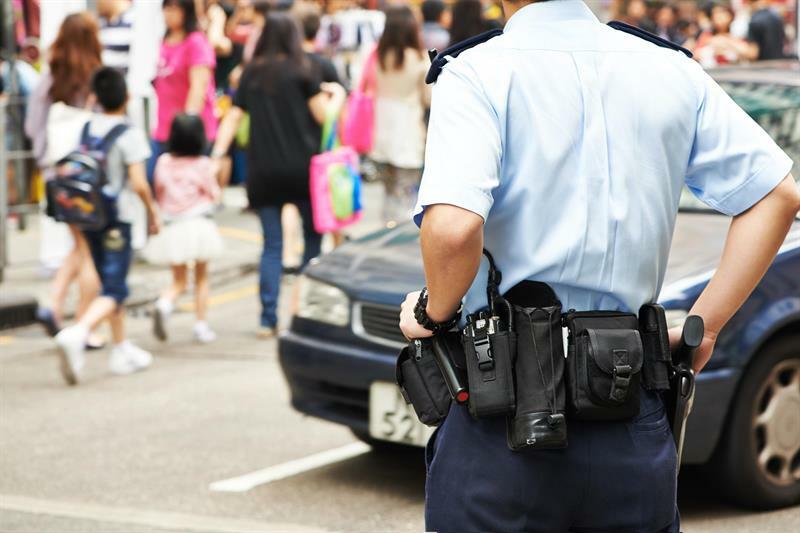 “New technology and data analytics can play a big role in enhancing situational awareness, predictive policing and helping improve the efficiency of the emergency services. We are now moving from where we are today to this more advanced way of working,” says Airbus’s Zaknoun.